Our tour follows the trail of Charles Dickens. 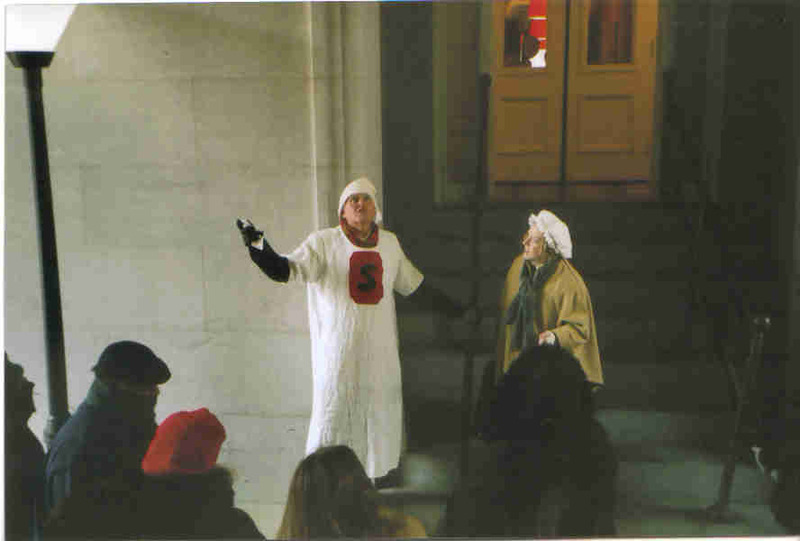 We walk where he did in 1842 and 1868 and along the route, we present scenes from "A Christmas Carol" which he wrote in 1843. 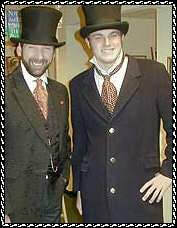 Gerald Dickens, the descendant of Charles, visited our tour in 2005. We think you'll enjoy it as much as he did! This brilliant writer paid two visits to the Nation’s Capital and his reviews of the two stays couldn’t have differed more! Shortly after his first visit, he penned “A Christmas Carol”. 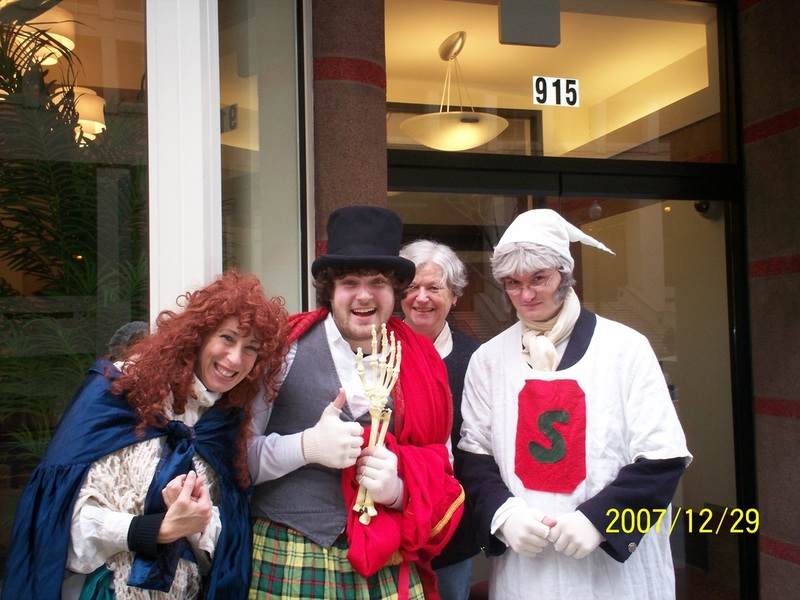 Is it possible that he created Mr. Scrooge after meeting a Citizen of old Washington City? Ponder that thought as you also witness scenes from his classic Holiday tale performed where he stood over 160 years ago. Done in a quick change style, this “Carol” is our own adaptation from Dickens original classic Holiday tale. Ever ponder how Charles Dickens kept Christmas? Or where he went in our town? Walk in the great author's footsteps on this unusual historical theatrical tour. Dickens came to Washington City twice in the 19th century and strolled the streets on a walking tour of his own. Led by a character from A Christmas Carol, we'll wend our merry way past the actual buildings that Dickens visited, and see scenes from Dicken's Yuletide work played out in doorways and archways. Learn how Dickens friendship with a local family may have influenced his writing. 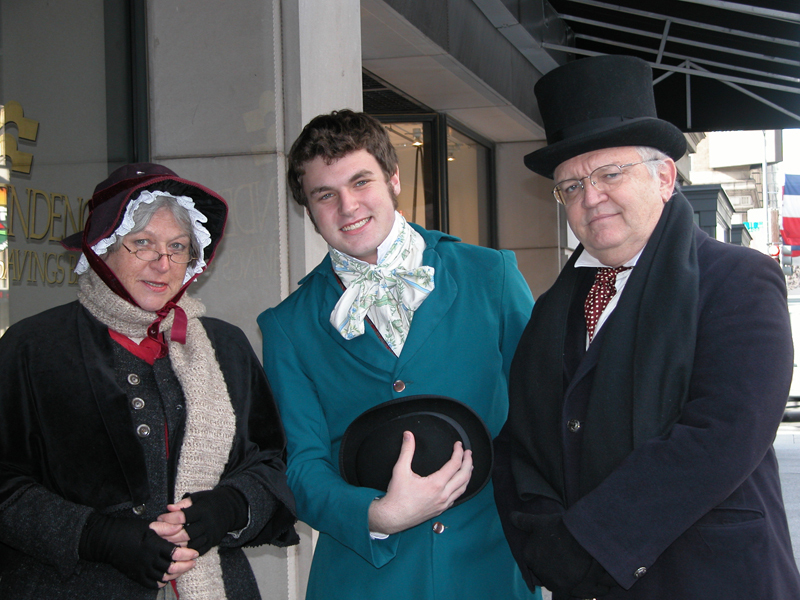 A Dickens of a Tour meets at Cosi at 10th and E Streets NW (1001 Pennsylvania Ave NW). Cosi has coffee and other hot drinks and hearty food. 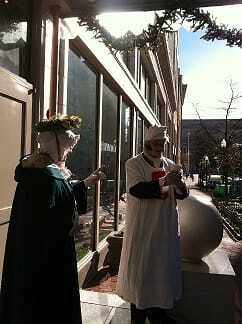 Mrs. Cratchit will be in costume outside the front door at 11:45 am. This Tour is accessible and you will be walking around the Penn Quarter Neighborhood which contains many sites visited by Dickens himself. It's outdoors so dress warmly and wear comfortable shoes. 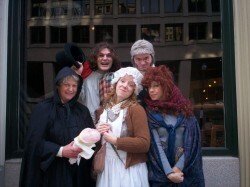 Dickens can also be done as a private tour. See the custom tours page for more detail on private tours.